At the northern end of the Kona Coast, on 77 acres, stands the National Historical Site, Pu'ukohola Heiau. This Heiau (temple) was begun in 1790 by the great Hawaiian chief Kamehameha I. It was prophesied by a Kahuna (priest) that if Kamehameha would build this heiau he would succeed in conquering the island chain and become the ruler over all of Hawaii. 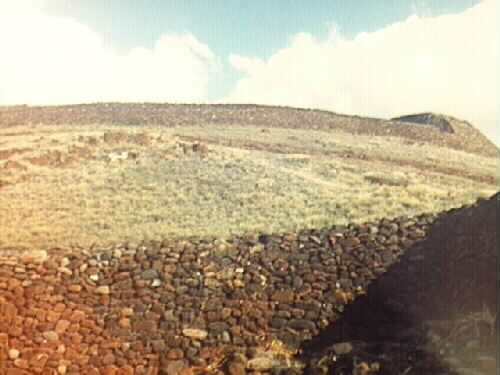 The massive walls of this Heiau were constructed with water worn rocks delivered hand to hand by a human chain from the Pololu Valley, about 14 miles across the Kohala Mountains on the Northern Coast of the island. 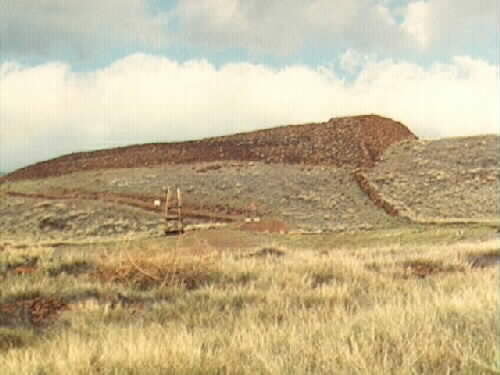 The Heiau was completed in about a year, and Kamehameha dedicated it to his War God "Kuka'ilimoku", completing the dedication with the sacrifice of his major rival to the throne, Keoua. Apparently this pleased the Gods because Kamehameha did infact unite all the islands under one rule, his. 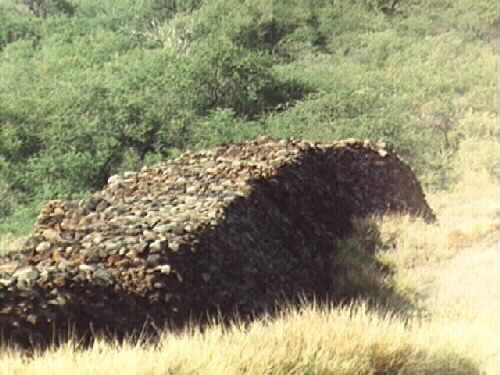 Down the hill from Pu'ukohola, are the remains of a smaller and much older Heiau know as Mailekini. 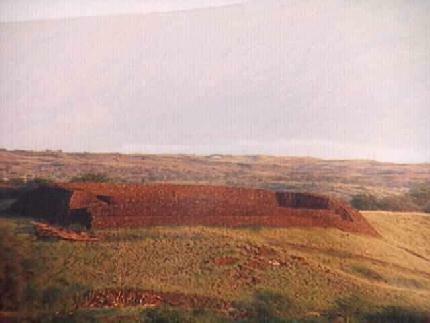 It is known that this temple was once covered with different Ki'i (wooden images) dedicated to the gods, but it was not involved in human sacrifice as was Pu'ukohola. In historic times this temple was used as a fort to protect the area from enemies of Kamehameha. This National Historical site is located about 40 miles north of Kailua and is open daily, subject to new budgeting. There are good trails around the area however, due to the sacred nature of the Heiau itself, no entry is permitted onto the actual structure. There is a fine beach and park adjacent to the site and less than a mile away in Kawaihae there are several good resturaunts.